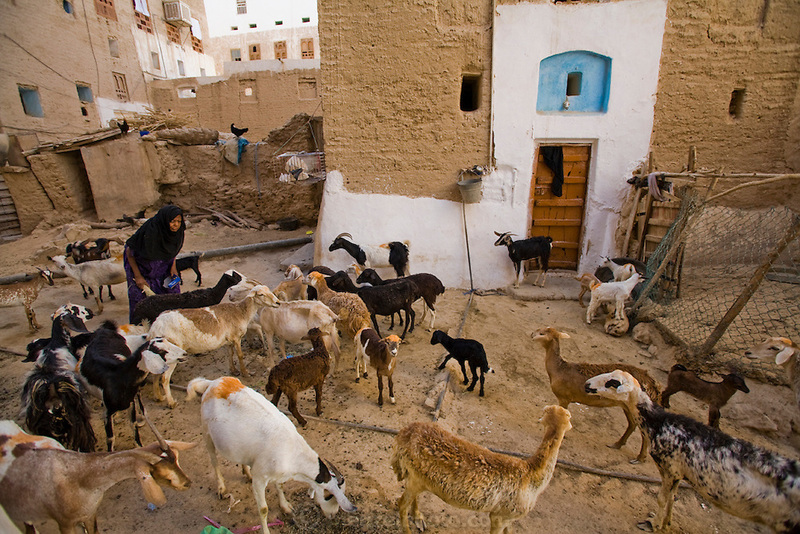 A woman tends to her goats before milking them in the town of Shibam, Hadhramawt, Yemen. Shibam is a World Heritage Site. The old walled city with it's talk mud brick buildings has been called 'the Manhattan of the desert".